Fulfilling a sow's increased nutritional needs in the last trimester may lead to greater productivity for both the mother and her piglets, according to Crystal Levesque of the South Dakota State University animal science department. 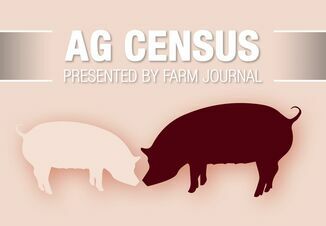 In 2012, the National Research Council developed nutritional models for gestating and lactating sows, but Levesque said, "those models are based on very little data." 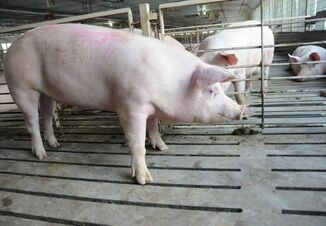 Phase feeding is used to meet the changing nutritional requirements of nursery and growing pigs, but gestation barns are not designed for feeding multiple diets, according to Levesque. Consequently, the solution thus far has been simply to increase or bump up the sow's feed ration. However, she pointed out, the question remains whether phase feeding a diet formulated especially to meet a sow's changing gestational needs would produce a better outcome. A gilt is bred when she reaches 210 days of age and 300 pounds, depending on her genetics, Levesque explained. However, her body will not reach full maturity until she has borne three litters. "The hierarchy of nutrient demand shifts during late gestation," she said. "The developing fetuses become the primary target for dietary nutrients and the sow takes what's left over." Once the piglets are born, milk production in the first week or so generally requires more feed than the sow can consume, Levesque explained. That means that a sow that goes into lactation at a low body condition will become even more nutritionally deficient. A young sow also needs to be able to develop her own body as well as support growing fetuses and then nursing piglets, she added. "Then five days after the piglets are weaned, she is expected to cycle again." In a 30-sow pilot study comparing bump feeding and stage feeding, Levesque has found "fairly clear preliminary evidence that we're impacting at least piglet survivability in the first week post-weaning." As the number of pigs per litter increases, the variability of birth weight gets higher, resulting in more lightweight piglets, Levesque explained. 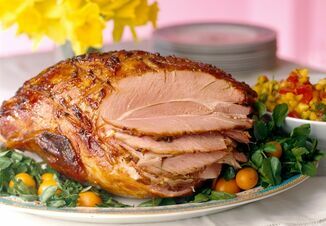 Altering the diet is good for the sow, but she pointed out "ultimately what we get paid for is the piglet she produces. Can we develop a stronger, more vigorous piglet that is more likely to survive?" According to 2016 National Pork Board statistics, the average preweaning mortality rate is 17.3 percent, Levesque noted. If bump feeding results in saving even one piglet per sow each year, the producer stands to gain $200 per animal, depending on the market price, without changing herd size or genetics. "This could be huge," she said. However, Levesque admitted, "The cost of changing the barn to allow us to phase feed is phenomenal." The economic benefit must justify the cost of retrofitting the barn and changing the way things are done. To determine whether phase feeding is cost-effective, research trials using at least 100 animals of equal age per treatment are necessary. Doing this research at commercial facilities is expensive, Levesque explained. Therefore, proof-of-principle data must be gathered to justify moving to large-scale industry trials. Levesque to expand her research to determine repeatability. "I can also follow those piglets to market to complete a full-scale economic analysis," she added. "It's about having access to a lot more animals which allows us to do much stronger proof-of principle trials that will help the industry decide whether there is potential economic benefit in moving to phase feeding."